GYTA53－>OPTICAL FIBER CABLE > OPTICAL FIBER > Riselink Communication Cable Co.,Ltd. 2. 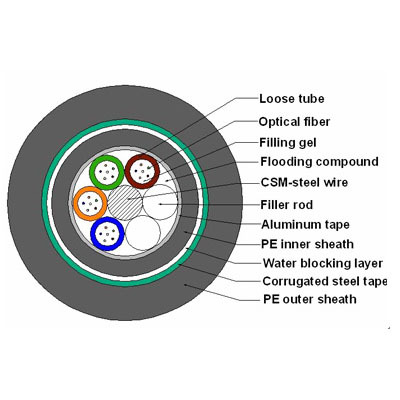 Proper design, precise control for fiber excess length and distinct stranding process render the cable excellent mechanical and environmental characteristics. 3. Double sheath structure makes cable have nice moisture resistance and crush resistance performance. 4. Small cable diameter, light cable weight, easily to install.